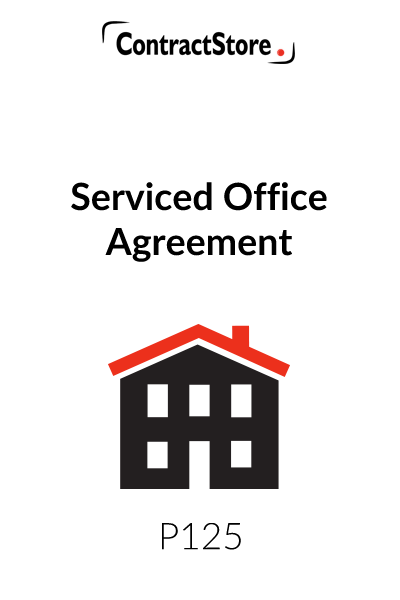 This is an agreement suitable for use by the owner of a building who provides suites of furnished and equipped offices for occupation on a short term basis. 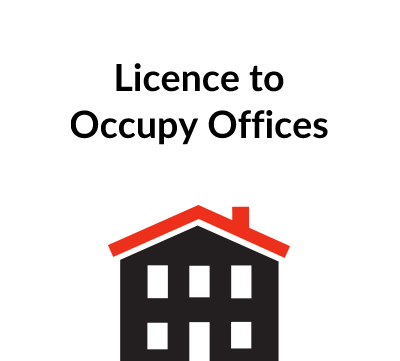 You need this document if you are the owner of a building, and contracting to provide furnished offices for short-term occupation. 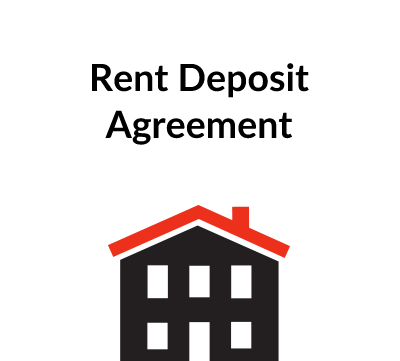 This document is a form of agreement for short-term occupation of accommodation which is fully equipped by the owner and ready for use. Such arrangements are essentially temporary, and a licence rather than a tenancy will usually be appropriate. The characteristic of a licence is that it does not grant the occupier exclusive possession in contrast to a lease which does, although there have been exceptions. This Licence expressly declares that the Licensee does not have exclusive possession. will create a tenancy rather than a licence. The differences between a lease and a licence matter a great deal. 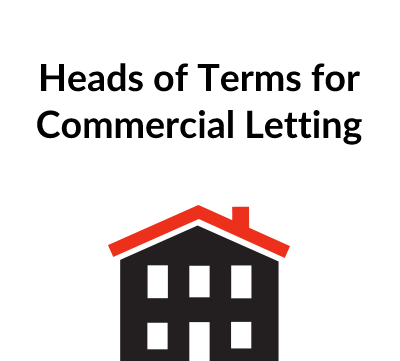 In relation to business tenancies, leases are generally protected by Part II of the Landlord and Tenant Act 1954. This means that when the contractual term of the business lease comes to an end, the tenant’s right to occupy the premises continues and (subject to other requirements in the 1954 Act), a landlord would not be able to recover possession of the business premises unless a notice procedure has been complied with and one or more of a limited number of grounds of possession has been established. A licence, on the other hand, does not give any protection to the licensee: you have no right to renew a licence once the landlord asks you to leave. Our comments on the specific clauses of the agreement are set out below. These need to be completed according to the particular circumstances of your contract. This Clause sets out the purpose of the contract. It recites that the Licence does not give the Licensee exclusive possession of the premises and that the Licensor is entitled to enter and use the premises at any time. 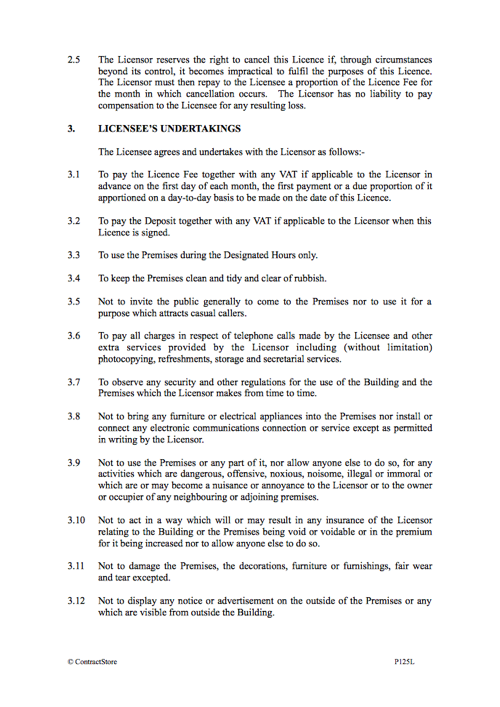 These Clauses set out the Licensee’s obligations to pay the licence fee and a deposit to cover breakages and damage. It also sets out the Licensee’s obligations regarding his use and occupation of the premises. This Clause recites the obligations of the Licensor to provide the facilities and services unless prevented by matters beyond his control. This Clause allows the Licensor to terminate the agreement in certain circumstances. This document includes a short form notice clause. Notices must be in writing and do not include fax or e-mail. The Schedule summarises the rights being granted to the Licensee. You will need to vary this depending on the circumstances. As Licensor, you may also want to provide for some services at an extra charge – e.g. use of photocopier, or use of a conference room etc.